This June, Image Comics beats a horse to death and you’re all invited to watch! It’s a new comic that’s not new at all… but it is dark. “How dark?” you ask? 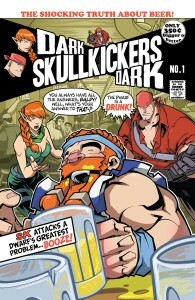 It’s so dark we had to use the word twice – DARK SKULLKICKERS DARK! DARK SKULLKICKERS DARK #1, written by old industry pariah Jim Zub and drawn by young pencil jockey Edwin Huang, wraps up the fourth story arc of SKULLKICKERS, the series people keep saying they’ve heard about but haven’t had a chance to try yet but, dangit, they will at some point if they see the collections on sale or something. If you’re one of the few and proud collectors of SKULLKICKERS irritated that you won’t have a SKULLKICKERS #23 to add to your collection, fret thee not. In addition to the regular “Dark Dark” cover we’re offering a special “issue #23 variant” B cover to keep your collection copasetic. We’re looking out for you, baby. We’ve dug as deep as we can go. We’ve entered the darkness. 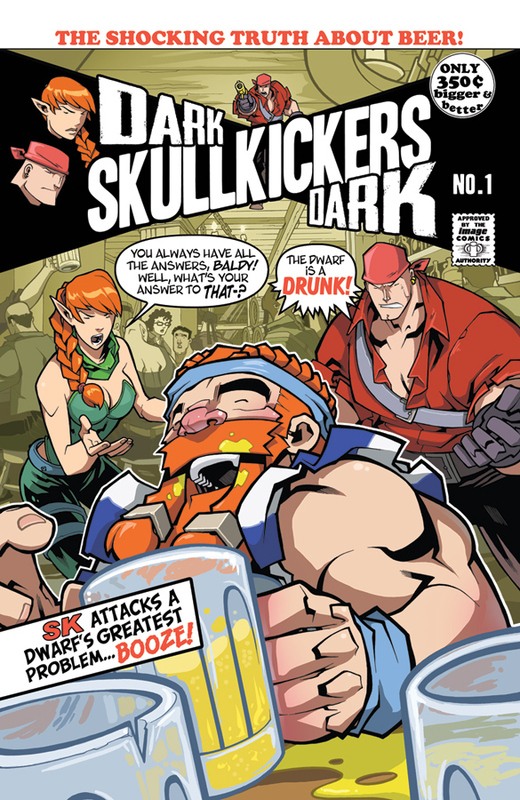 DARK SKULLKICKERS DARK #1 will be available in June wherever dark comics are sold. Pre-order it now from the April issue of Previews. Order the old trades too. They’re pretty good. This entry was posted in Columns and tagged alternative comics, dark, IMAGE COMICS, indie comics, jennifer de guzman, skullkickers. Bookmark the permalink. Follow any comments here with the RSS feed for this post. Post a comment or leave a trackback: Trackback URL.